Peñoles is the biggest silver refinery in the world and the biggest gold refinery in Mexico. Penoles is part of a very large Mexican group, BAL, which owns several branches in many sectors of the economy. 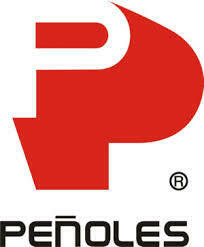 Peñoles is a Mexican company founded in 1887 by a group of entrepreneurs. The first mine was discovered in the Peñoles mountain range, hence the name of the company. From 1890 to 1960, the company went through several mergers and acquisitions with other mining companies. Peñoles has been owned by different shareholders, including some from the USA, United Kingdom and Germany. In 1961 a law required all Mexican mining companies to be majority-owned by Mexicans. Jose A. Garcia and Raúl Bailleres, the second-richest man in Mexico, acquired the majority of the company’s shares in 1965. Peñoles was the first large mining and refining company to be entirely owned by Mexicans. Industrias Peñoles is part of the Precios y Cotizaciones index, the main index of Mexico’s stock market. In 2008, Industrial Peñoles became the first Mexican company to be quoted on the London stock market, after having introduced its branch, Fresnillo. Peñoles, the world’s largest silver producer, dominates Mexico’s precious metals (gold and silver) production through its exploration, extraction and refining activities. Peñoles exploits the Fresnillo (Zacatecas) site, the world’s most productive silver mine (over 1,000 metric tons a year). The group also owns other mines and several land parcels totaling 4.6 acres in Mexico. Peñoles produces more than 80 million ounces of silver and 756,100 ounces of gold per year. Products offered by this refinery are quite limited, with only 12.5kg gold bars and 1,000oz silver bars available. Both quality and fineness are guaranteed. All bars are stamped with the inscription “Met Mex Peñoles SA DE CV” in an oval. BAL Group, which owns Peñoles, is comprised of several companies offering a full line of services. Fresnillo (a branch of Peñoles) is quoted on the stock market. You can invest in this company. It generously redistributes dividends. Peñoles is on the London Bullion Market Association (LBMA)’s Good Delivery list. Due to the stringent criteria to which refiners must conform to obtain their accreditation, this list is recognized as the de facto standard, or norm, for gold and silver bar quality. The company is also an accredited producer on the Chicago Mercantile Exchange. Peñoles has a sustainable development policy. The company saves no efforts in order to reduce pollution during their production processes. Health and security within its mines are high priorities for Peñoles.